1) We have disconnected from source and the authentic essence of our being. 2) We have numbed ourselves from our pain, our emotions and our body. 3) We have shut down our expression so we give only 2% of our full aliveness and truth. 4) We have blocked ourselves from receiving the love and abundance from others and the world. We're only receiving 2% of the joy, richness and depth that is coming our way. In Heart iQ, these four areas are called the "Four Directions of Joy". They represent the essential parts of our life that need to be open and in balance. The Vertical Up channel is your connection to source, to the divine and your essential essence. Feeling this channel allows you to access the "field" and connect to the reality that we are all one. When this leg grows too long in comparison to the vertical down channel (see below), a "checkout" or bypass is in place, usually to avoid feeling trauma or tension in the nervous system. The Vertical Down channel is your connection to your emotions, your body, your sexuality and your pain. It is where your human story is felt and your emotional history stored. Feeling this channel opens you up to your sexual fire, charisma and magnetism, as well as your depth. When this leg grows too long in comparison to the vertical up channel, you are at risk of getting lost in the illusion and drama of your life, getting lost in your pain body, your identity and your stories. The Horizontal Out channel is your connection to sharing yourself authentically and fully to others and the world. It is your giving, loving Heart. It is the freedom to be YOU in the presence of others and to be 100% real, holding nothing back. When this leg grows too long in comparison to the horizontal in channel (see below), you risk burning yourself out and getting lost in your purpose. The Horizontal In channel is your connection to receiving love and abundance from others and the world. It is your capacity to be open and moved by the wonder of life. It is your vulnerability to let others touch you and for you to show your pain, your joy and your needs. When this leg grows too long in comparison to the horizontal out channel, you risk becoming dependent on others, preventing you from stepping out into the world to fully give your gifts. By practicing opening all four channels you liberate your life force, activate your deepest joy and can effortlessly move through life without resistance. 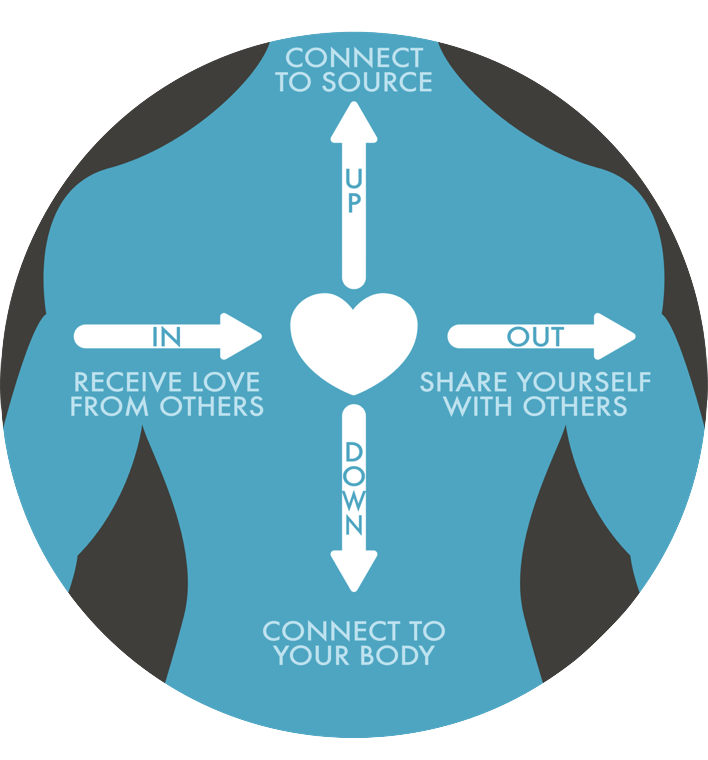 Heart iQ is one of the only modalities that trains ALL four directions together simultaneously, unlocking the hidden resources laying dormant in your mind, body Heart and soul. If you are ready to experience what Heart iQ can do in your life, then join us at the Awakened Living Project. 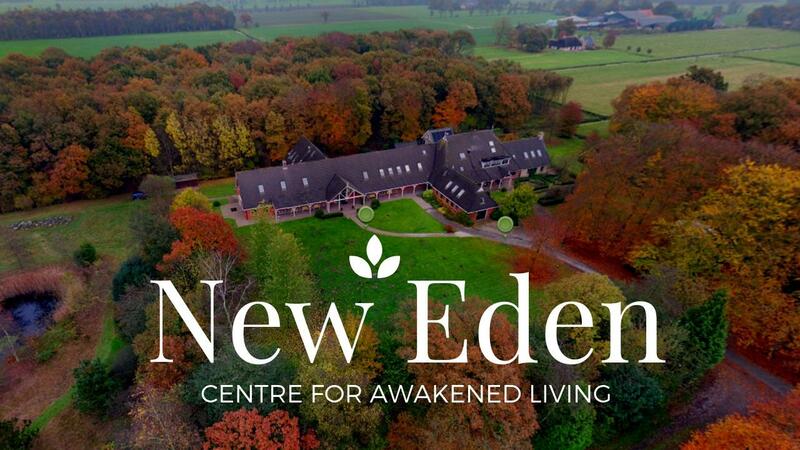 You'll be amazed at how a weekend away at New Eden can change your life by being in an amplified field of a loving tribe dedicated to supporting your awakening.